Is it possible to get over the fact that one of the two title (and titled) characters who is supposed to be Asian is played by one of the most British of actors? One has to remember that in 1946, the idea of allowing Asians to play the leads (even if the lead character WAS Asian) was practically unheard of. One of the most pernicious aspects of discriminatory laws is that the images of a group are being shaped by members outside said group. We've had the notorious examples of Mickey Rooney as a Japanese stereotype in Breakfast at Tiffany's or uber-WASP Charlton Heston as a Mexican in Touch of Evil (and if you think this is a thing of the past, I refer you to Ben Affleck as a Hispanic in 2012's Argo or the British Ben Barnes as a Colombian in The Big Wedding). 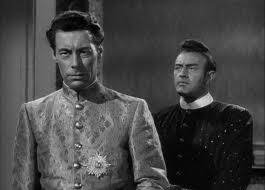 Rex Harrison's turn as the Siamese (or Thai today) monarch in Anna and the King of Siam at least was nowhere near as appalling as say, Austrian actress Louise Rainer and Yiddish theater star Paul Muni as the quintessential Chinese peasants in The Good Earth. Harrison as a Thai still looks unconvincing (and some of the other actors even less convincing), but Harrison at least gave a great performance of a man who desires progress for his country, so long as it doesn't alter his world; we also get American actress Irene Dunne as the very upfront British woman who was more than his match. They are such good performances one can overlook the small issue of incorrect ethnic casting. Anna Owens (Dunne) is a British schoolteacher who has come to Siam (or Thailand) to be the tutor to the children of King Mongkut (Harrison). She comes with the understanding that she will have a house of her own for herself and her son, Louis (Richard Lyon). His Majesty's Prime Minister, Kralahome (Lee J. Cobb...I'm not kidding, Johnny Friendly as a Thai), informs her that she will stay at the Palace at His Majesty's leisure. She is not pleased by this, but who can deny The King (especially an absolute monarch like Mongkut). She, however, will not be denied: she uses her position as tutor to both His Majesty's children, wives, and concubines to push for that house. Eventually, the King grows so tired of Anna's incessant 'house' that he finally gives in. In the years she is at Court, the relationship between the headstrong schoolmarm and the headstrong sovereign grows to one of begrudging respect, though he is not pleased by this development. "How can a King be wrong and woman be right?" he asks her at one point. She is the only person in Thailand not afraid of His Majesty, but she also is aware that she can only push so far. She won't lie on the floor and prostrate herself before the monarch, but she knows she can't show up the King, so she does acquiesce to keeping her head lower than the King. She helps the King attempt to modernize Siam/Thailand, down to helping set up a 'Western' state dinner for European delegates (with results both beautiful and hilarious). 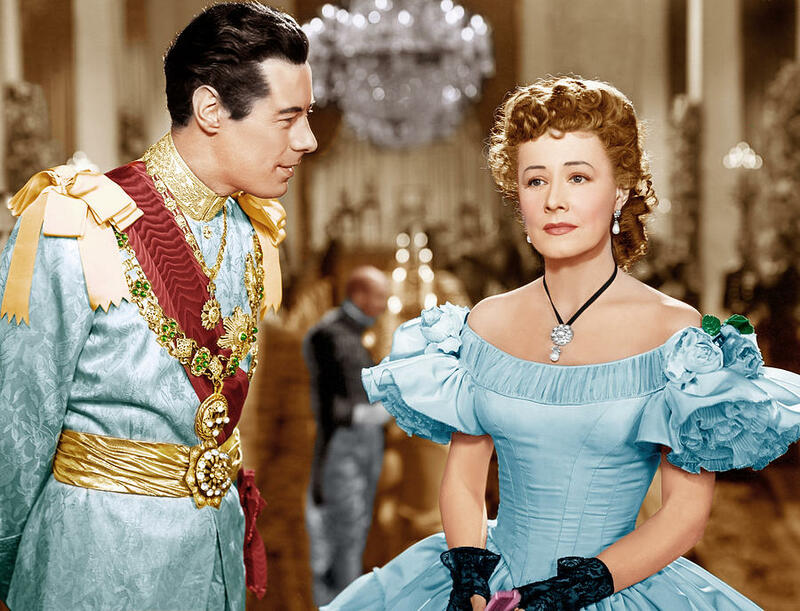 However, His Majesty is too set in certain ways for Anna's liking, particularly his vindictive punishment of Lady Tuptim (Linda Darnell), a favorite concubine who ran off. Anna, so horrified by her execution, decides that this is the breaking point. Adding to her troubles Louis dies in a riding accident. The Queen Thiang (Gale Sondergaard), rather than offer comfort, reproaches Anna for leaving, especially since Her Majesty hoped she would teach the Crown Prince more than English, but to be truly modern. King Mongkut falls ill and dies, and Anna discovers that she has indeed influenced the new King of Siam for the common good. I think we can dispense with the idea that Anna and the King of Siam is historically accurate. That ship sailed when we got the cast, who are as convincing as Asians as Barbra Streisand would be as the Queen of Sheba. If anything, the film is more a portrait of culture clash, the veddy proper but forward-thinking Anna against the forward-thinking but haughty monarch. We keep a balance of comedy and drama (Anna's subtle use of studies to get the Court to sing Home Sweet Home within the King's presence versus Mongkut's fear that the Europeans will take over Siam like they have everywhere else). The best scene that compliments this balance is at the State Dinner, where Mongkut is desperate to make a good impression. He does so by providing beautiful Siamese dancing as entertainment (filmed beautifully, winning Anna and the King of Siam one of its two Oscars for its Cinematography, the other for Art Direction), but stumbles in his obsession over the napkins. They have arrived late, and His Majesty, determined to show he is 'modern', grabs them and begins tossing them to his guests long after dinner is over. Anna and the King of Siam has strong performances from most of the cast. Dunne shows simply what a versatile and talented actress she was: not once does her British accent fail her, and she makes Anna a woman who is bright, strong, and sure of herself. Harrison does not reduce the King to a figure of ridicule, but as someone who does yearn to do right by his nation and his subjects but who also, as Monarch, knows that he has to be shown proper respect. Even in the smaller roles, Darnell and especially Sondergaard show they can give strong performances despite the lunacy of having such European faces try to be South Asian. We can't say the same for the children, especially the Crown Prince, who apparently was told not to worry about how he looked completely European with just a dash of make-up. Anna & The King of Siam is a bit long and despite the best efforts the idea of these British and American performers convincingly play Asians looks a bit vulgar. However, with strong performances, beautiful imagery and an interesting (if historically dubious) story, the film has enough to make it worth a trip to the mysterious East.